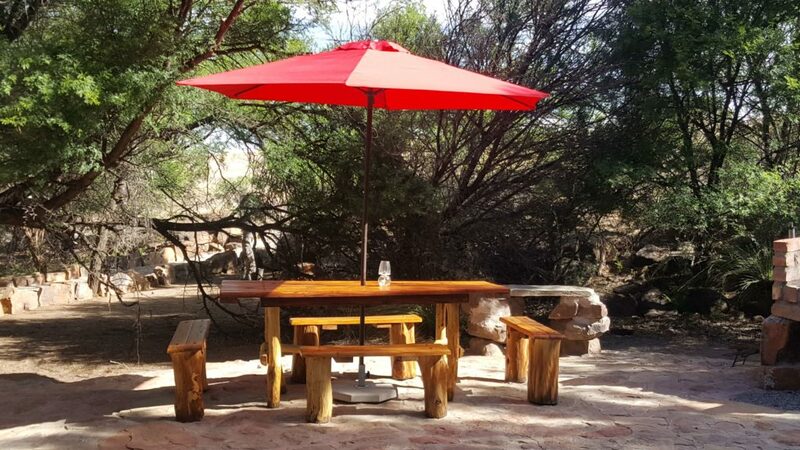 Inibos Self-catering is located on a Karoo farm in the Three Sisters area, surrounded by nature with fresh air, tranquillity, excellent Karoo sunsets and warm hospitality. 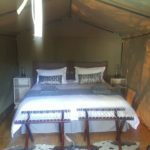 The area is typical of those travelling between Johannesburg and Cape Town on the N1. 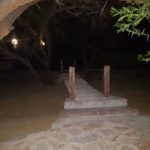 This accommodation is the perfect getaway for a family or group of friends who want to break away from city life or guests who want to relax and switch off after a long journey. 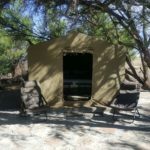 Inibos takes all the trouble and work out of camping. 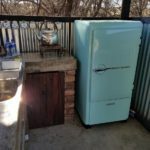 Here, guests are staying in style. 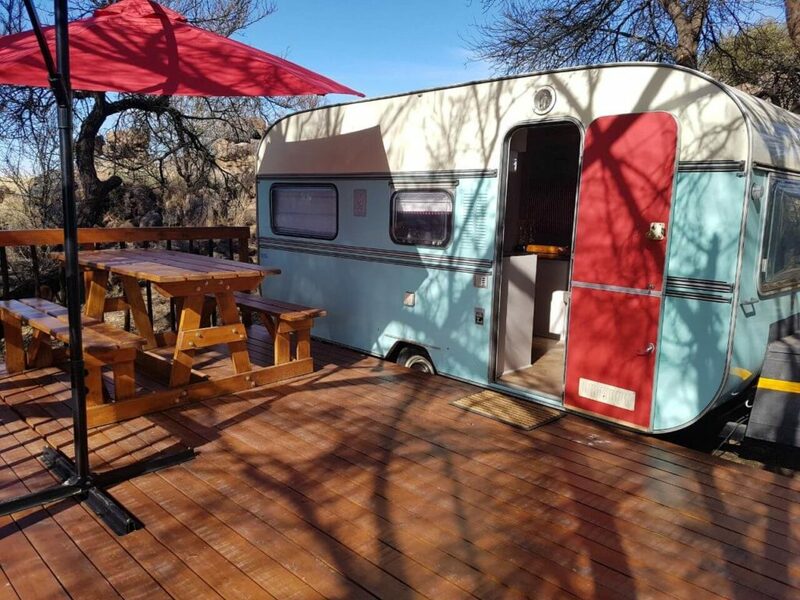 Inibos boasts a vintage caravan imported from Germany and converted into a luxury self-catering unit with a sun deck. 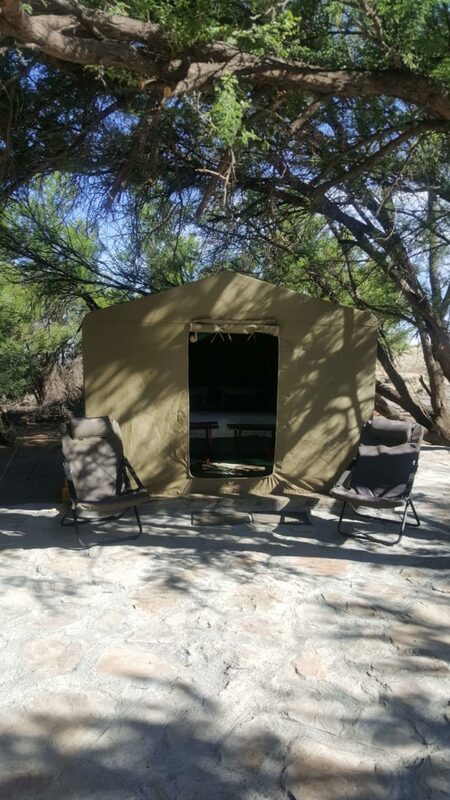 There are also 2 permanent tents with beautiful views of the Karoo plains. 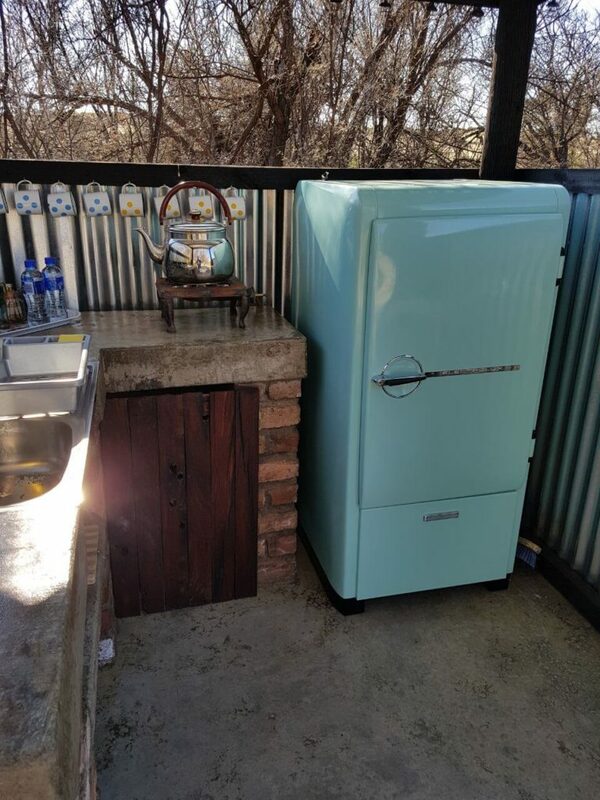 The communal area with a kitchen, dining and braai area is the perfect place to meet other travellers. 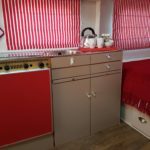 Kitchen facilities include a gas plate, gas cooker, crockery and cutlery. 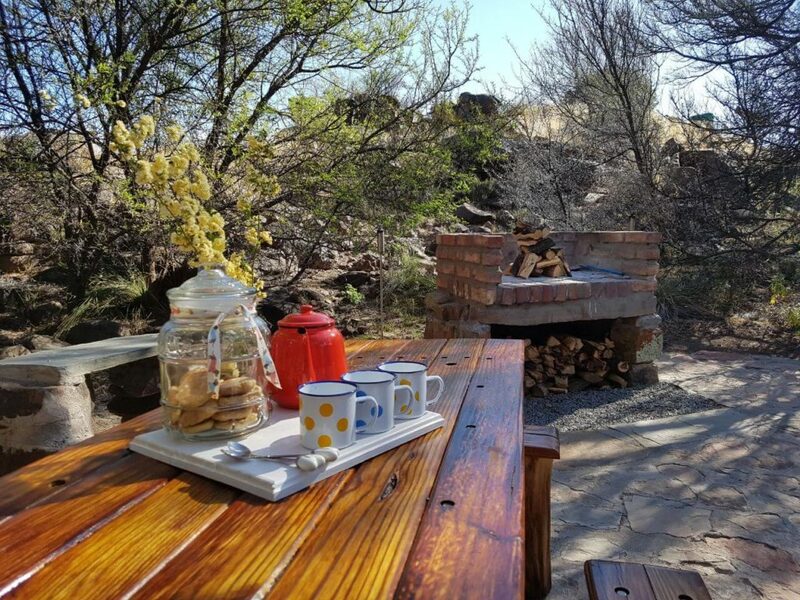 Here guests can enjoy a traditional braai under the Karoo stars. 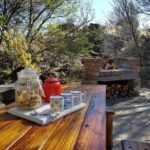 Homemade meals and braai packages are available on request at additional costs. 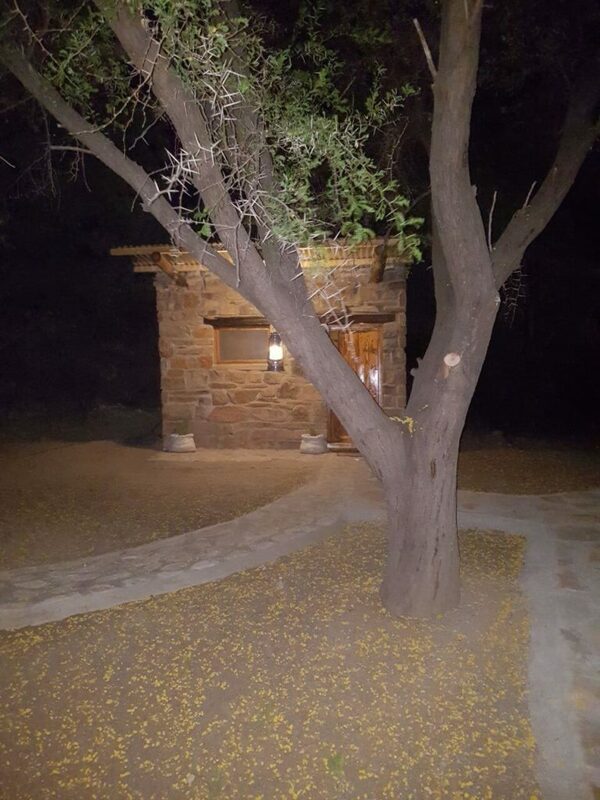 In the evenings, guests can do star gazing and braai and by day enjoy cycling or go for a hike. 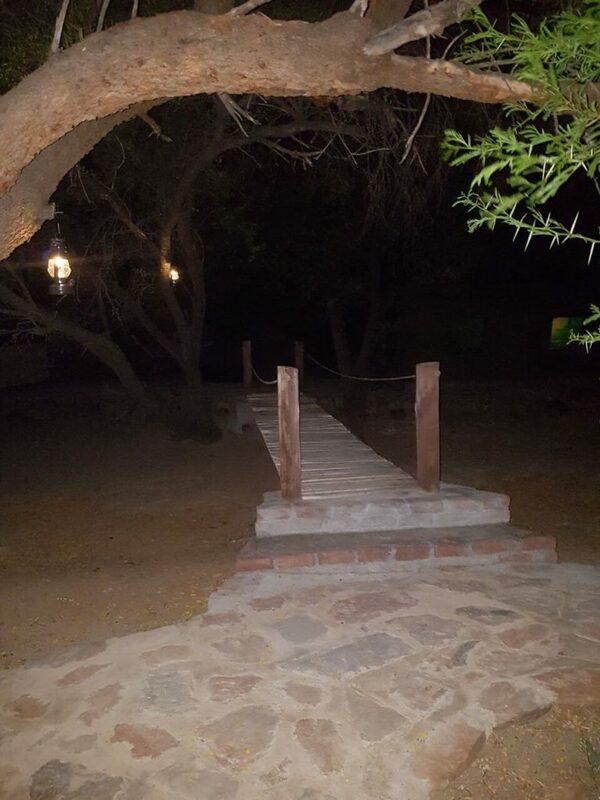 Here children can get to know nature in a safe environment. 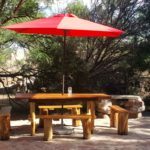 Lovely picnic baskets can be provided on request to enjoy the beautiful sunset from a Karoo hill. 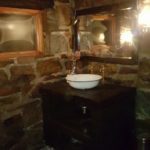 Bathroom There is a unique, communal stone bathroom which features a hot-water shower, a toilet and basin. 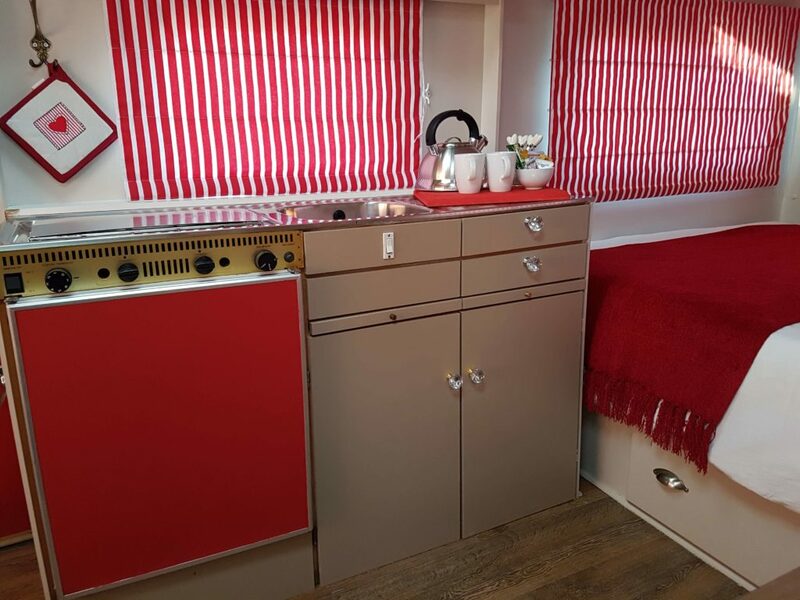 It comprises a 1976 Knaus Sudwind Caravan, imported from Germany, which has been refurbished into a modern room. 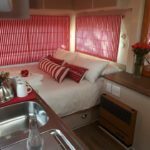 The caravan features a double bed, a gas stove, a bar fridge, microwave, electric blankets, a fan and solar-powered lights. 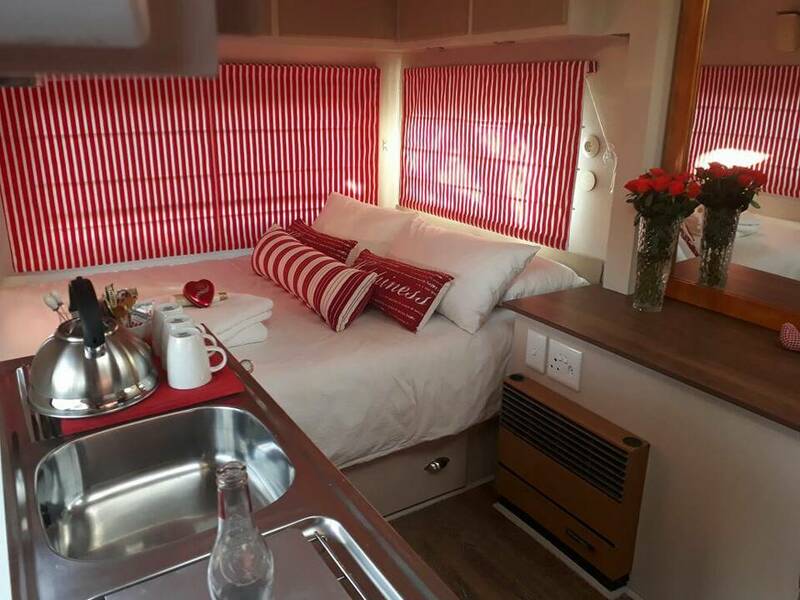 Towels and soaps are provided and coffee, tea and home-made rusks are available in the unit. 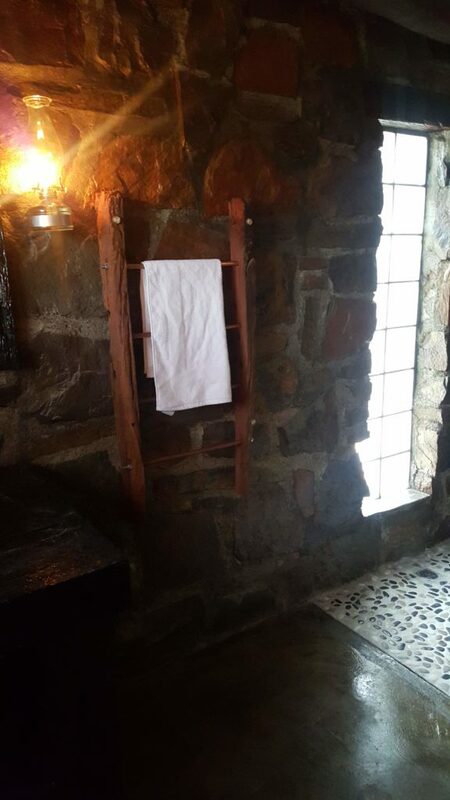 There is a unique, communal stone bathroom which features a hot-water shower, a toilet and basin. 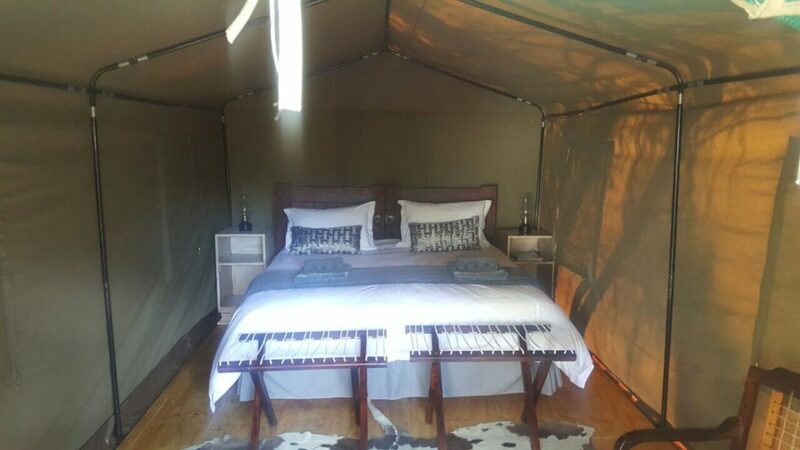 This tent features a king-size bed, which can also be converted into 2 three-quarter beds on request. 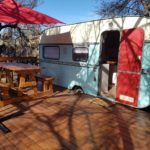 It has Solar-powered lights and a gas-stove with coffee- and tea-making facilities. 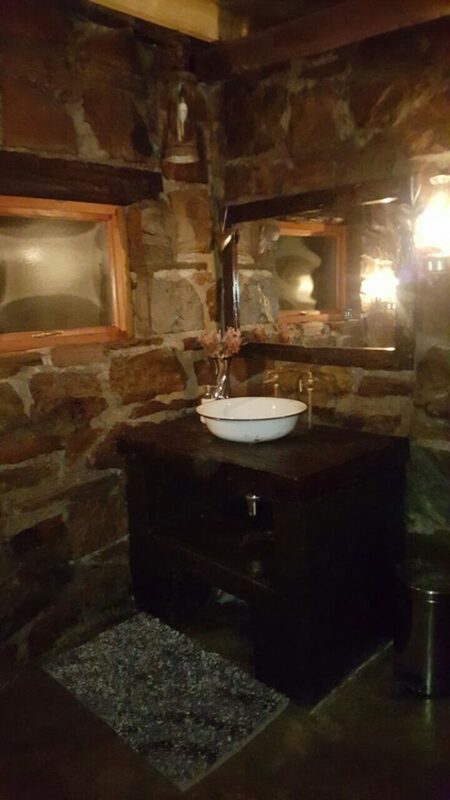 There is a unique, communal stone bathroom which features a hot-water shower, a toilet and basin. 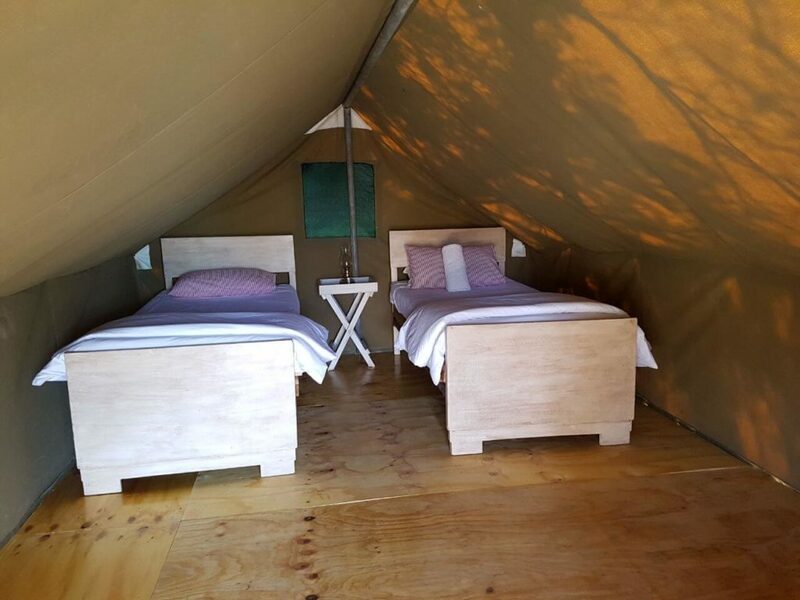 This tent features 2 three-quarter beds. 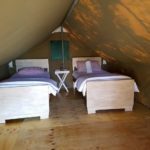 This tent has paraffin- and solar-powered lights for the evenings. 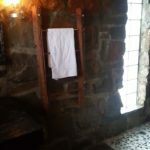 Towels and soaps are provided and coffee, tea and home-made rusks are available in the unit. 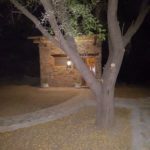 There is a unique, communal stone bathroom which features a hot-water shower, a toilet and basin.